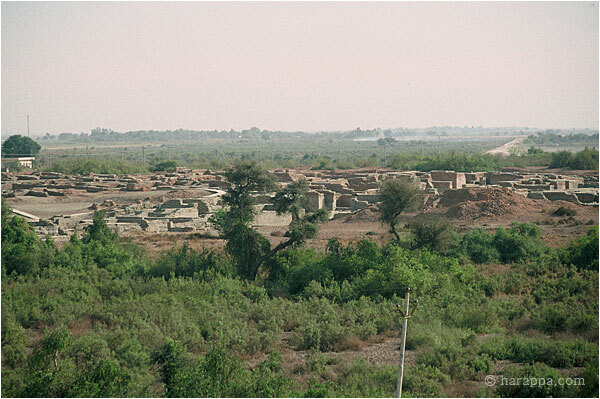 The northeastern sector of Mohenjo-daro was excavated by K. N. Dikshit and designated DK-G area. Pathways allow visitors to visit the excavations, and an unexcavated portion of the site in the right foreground show what the site looked like prior to excavation. Slide 10 shows the southern portion of this sector. The large levee in the background protects the site from the encroaching floods of the Indus River.